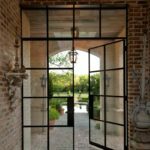 Steel doors were used on this Dallas Texas residence to give a contemporary update to an older home. 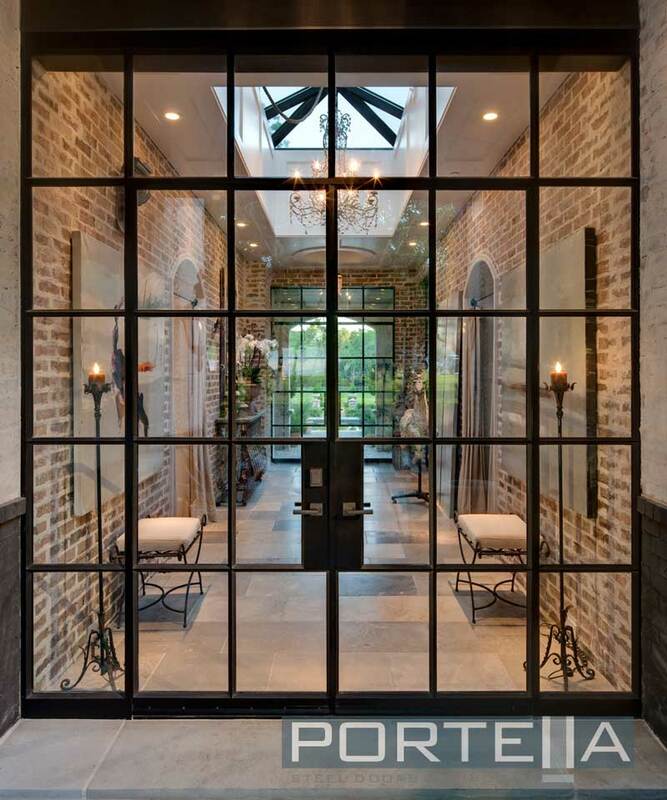 Portella is one of the only U.S. steel window/door manufacturers to deliver a fully glazed product. 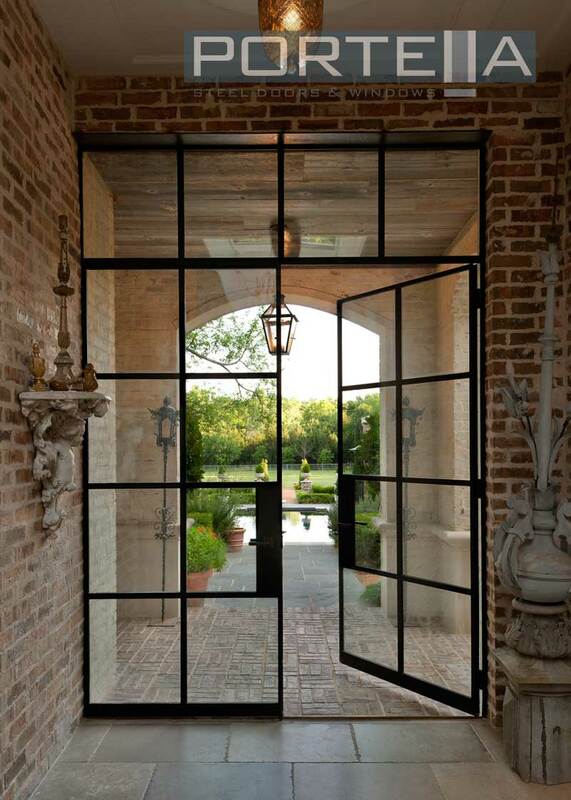 Our glass is factory installed eliminating field glazing. 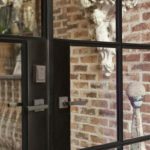 Double Doors with Sidelites and Transom. 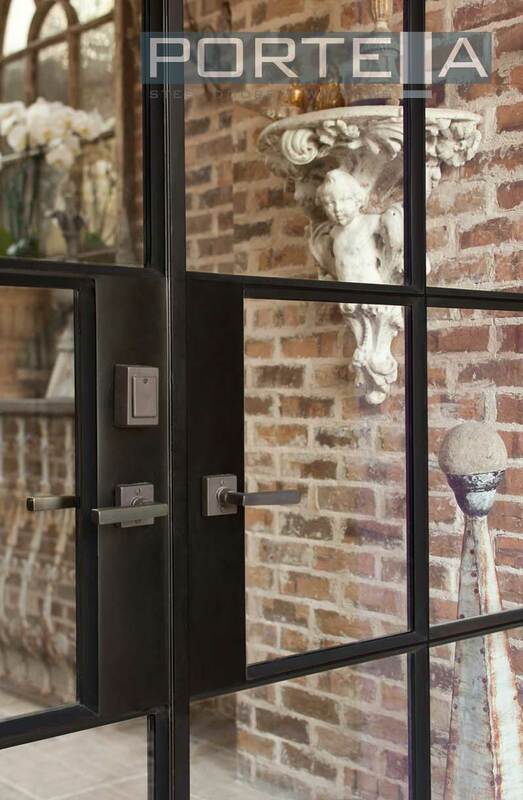 Dark Bronze finish and Rocky Mountain Hardware.